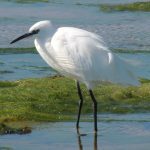 The Yar River Trail follows the Island’s longest river across the south east of the island from its source, a spring near Niton, to the sea at Bembridge harbour. The Yar River Trail is 19 miles long. Spend a rewarding weekend walking the whole trail and getting to know the Island. Or you could walk one of the four shorter sections each themed on a different stage of the river. This waymarker guides you along the Yar River Trail and is attached to signposts, gates and fences. It was designed by the sculpture Paul Mason and uses the three letters of the trail’s name to create a symbol inspired by traditional stone masons’ marks. 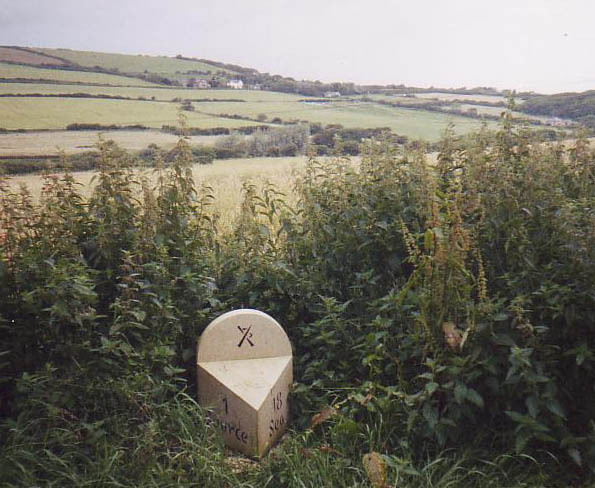 There are 20 milestones that mark distances along the trail. These were carved by Paul Mason in Portland Limestone in a variety of shapes. 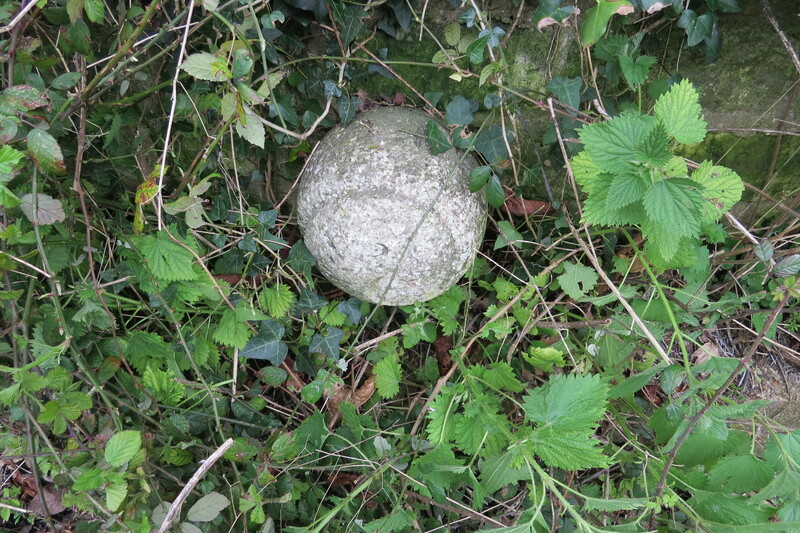 Paul also carved a series of spherical stone forms which were sited along the route. Originally there were six but now we can only find five. 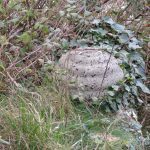 These sculptures were informed by both the river’s own landscape and the thoughts and ideas of local people collected through a series of workshops held in village schools at Niton, Newchurch and Brading. Paul died tragically young in 2006 and we hope that everyone who sees his work along the Yar River Trail will think of him. From the downs at Niton to the sea at Bembridge the river flows through fertile and easily cultivated land farmed through the ages. The mosaics at Brading Roman Villa depict this in their veneration of Ceres the goddess of fertility. 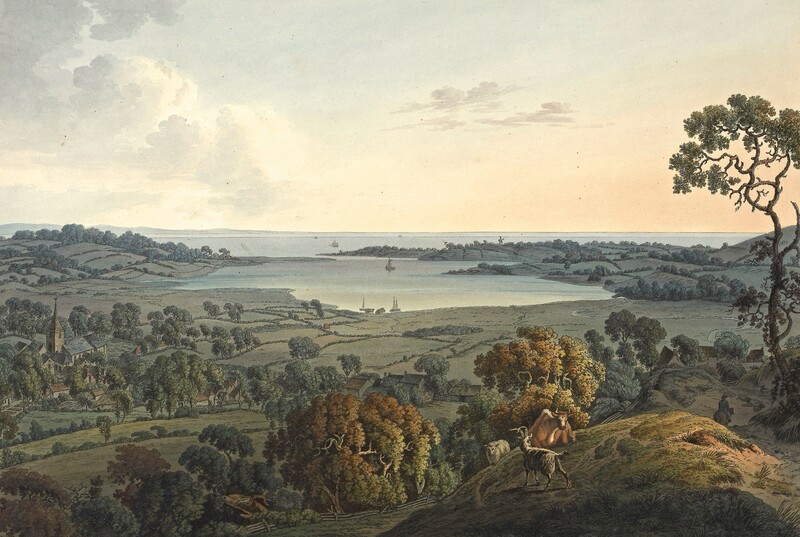 From times even before the Romans, the river has played an important part of the life of the East Wight, acting as an artery for grain and wool to be ferried up its waters to the old port of Brading, now two miles inland, its marshes only reclaimed from the sea in the late 1800s. 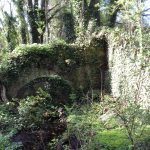 Today you can see the remains of some of yesterday’s uses: the sheepwash in Whitwell, withy beds planted for basketry along the river and the ruined mill at Bridgecourt. The river was also a spiritual focus for pilgrims. The water from the springs along its course were regarded as holy and a cure for all manner of ailments. People have always enjoyed messing about on the water. 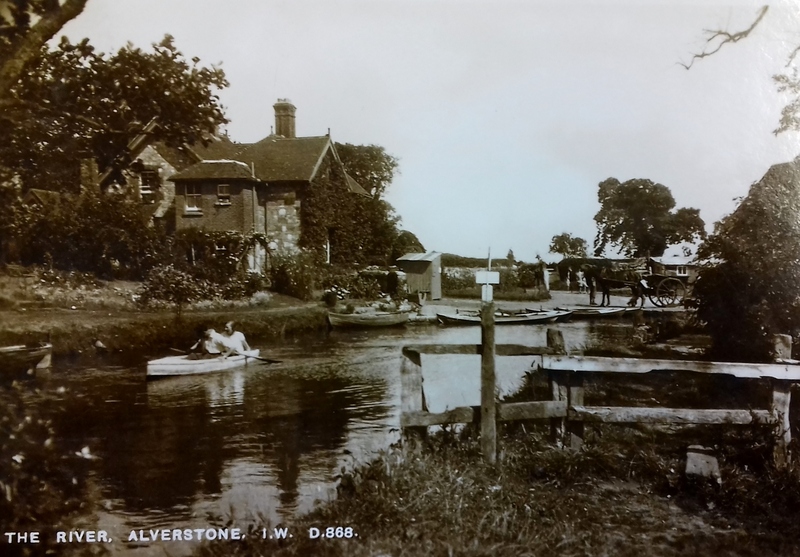 From Victorian times to the 1950s Alverstone was popular with weekend picnickers and the Yar was then wide enough for boating. 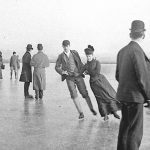 In 1900 the winters were cold enough for the whole of the river’s floodplain to freeze over much to the delight of local skaters. 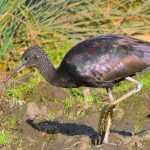 The river with its harbour, its many tributaries, pools and marshes supports a tremendous variety of wildlife along its length. 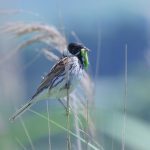 Look for dazzling dragonflies, listen for the ‘plop’ of water voles diving in the water and explore the RSPB’s wonderful reserve at Brading Marshes. 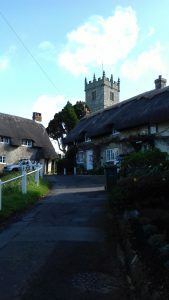 Located at the source of the Yar, Niton is a thriving village. In the past it was renowned as a centre for smuggling and the table-top tombs in the churchyard were a good hiding place for both the smugglers ad their contraband. 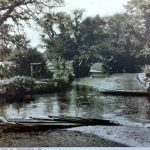 Until the 19th Century the Yar flowed through the middle of the village as an open stream with small bridges for villagers to cross over. 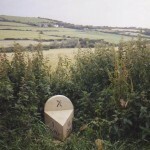 One of Paul Mason’s sculptures is located near the start of the trail. Pilgrims followed the trail along Ashknowle Lane to receive healing waters at Whitwell’s holy well. The stream was a good supply of clean drinking water and iron cups were fastened to the arm of the pump for villagers to drink from. 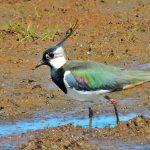 After Whitwell the trail follows the Yar through fens and marshes alive with wildlife and blooming with colourful wild flowers. There were mills at South Ford and Ford. South Ford dated from the 18th century and closed in the First World War and Ford was last recorded as trading in 1911. 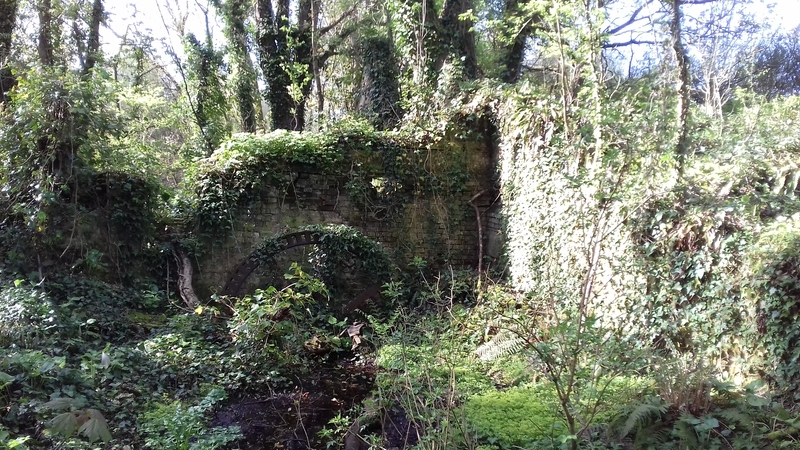 At Bridgecourt you pass the remains of the Bridge Mill and a cottage which dates from at least 1759. The metal gears you see are from the early 19th century (pictured left). 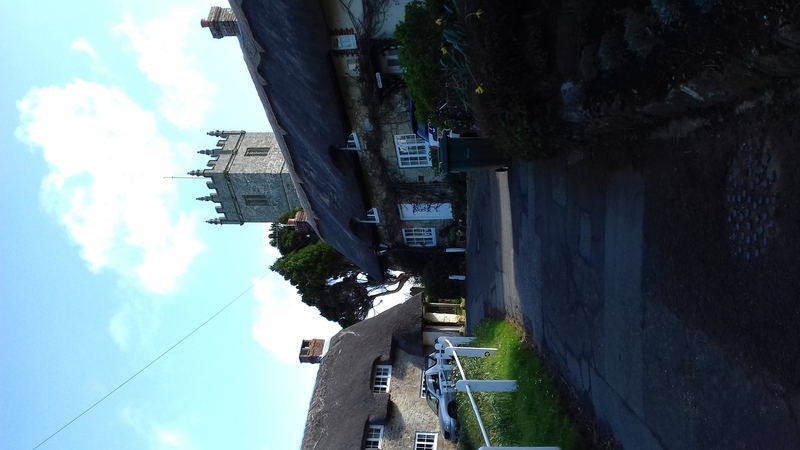 Godshill is the archetypal picturesque Island village with thatched cottages, tea gardens, and a historic church perched high above on ‘God’s Hill’. Legend has it that a bishop came to Godshill to build a new church to God on low-lying ground away from the shrine on top of the hill. After the first day’s work the builders left their tools and masonry on site but on their return the next morning everything had vanished; the stones and mortar had been mysteriously moved to the top of the hill. The bishop claimed that the devil was testing their faith and made them fetch all their equipment back down again. Once again everything somehow found its way back to the hilltop that night. The following day the bishop cut his losses and claimed that this miraculous event was a sign from the Lord to banish the devil from the crest of the hill and so the church should be built there after all. 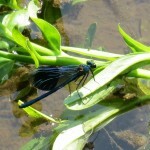 The young river has a network of small tributaries and spring-lines associated with it and many of these have very special plants and animals. 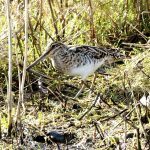 Around Godshill there are wonderful bogs and meres, at Bohemia and Munsley in particular. 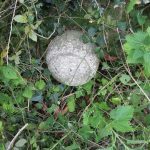 You can explore these from nearby footpaths. You might see the insect-eating Round-leaved Sundew. This stretch of the trail reveals the long standing importance of the river and its valley to the farming economy. Medieval manor houses line the route, most of which are still part of working farms today. 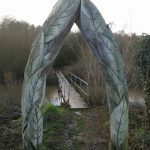 Their names reveal watery origins, Redway for example means ‘the way to the reedbed’ and Langbridge is the ‘long bridge over the river’. Great Budbridge Manor’s history has been traced to John de Lisle, Henry de Botebrigge and Walter Urry during the reign of Henry III (1207–72). Records testify its ownership by William Urry in 1280. Consequent to the conviction of Robert Urry, William’s son, in 1312 for murdering the Constable of Carisbrooke Castle, part of his land was acquired. However, the manor remained in the name of the family till 1450. The current building probably dates from 1633 with the porch added in 1688. You will also pass Haseley Manor whose name is derived from the Saxon Haesel-leah meaning hazel wood, and the first record appears in 1086 in the Domesday Book. Past owners have included four kings, Harold, William I, William II and Henry VIII, it was also the home of the judge, Sir Thomas Fleming, who tried Guy Fawkes. 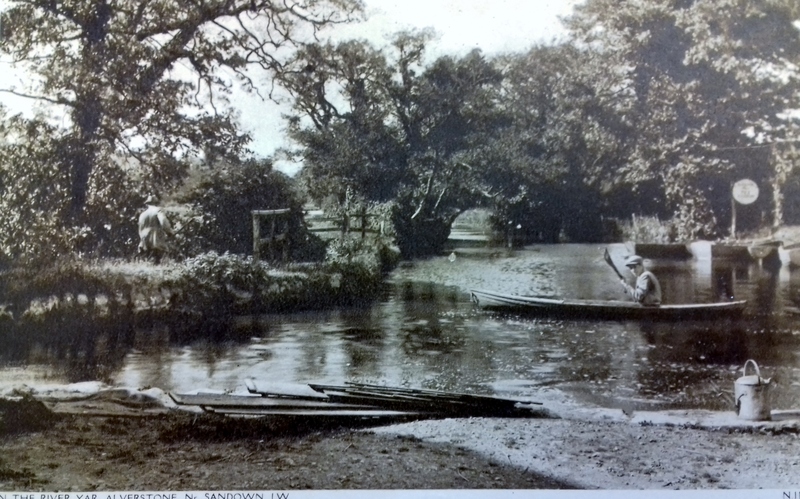 Many of the hamlets along the Yar were at one time bustling communities before the arrival of the railway in the late 19th century. This together with the increasing agricultural mechanisation led people to the countryside for the town. The life of the East Yar valley was dramatically changed but then changed again when the railway itself was dismantled in the 1960s. The old track-bed today provides much of the Yar River Trail. Part of the Developing River section joins National Cycleway Route 23 that stretches all the way to Reading on the mainland and links Sandown with Cowes on the Island. Look out for signs of badgers, they don’t like the wet ground in the floodplain but the sandy banks and hedges higher in the valley are perfect habitats. You may even see one of you are out for an evening stroll along the trail. As you walk from Newchurch along the cycletrack look out for one of Paul Mason’s sculptures attached to a tree. 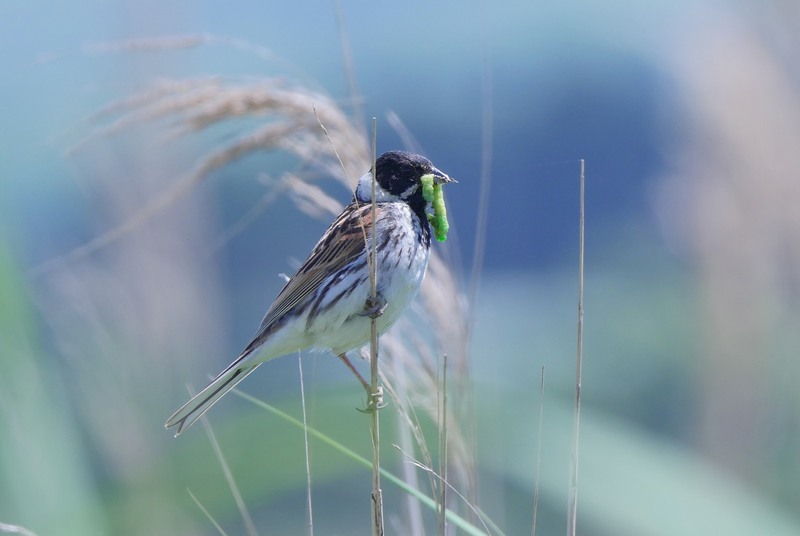 The marshes around Alverstone are buzzing with wildlife and include a large Site of Special Scientific Interest (SSSI). 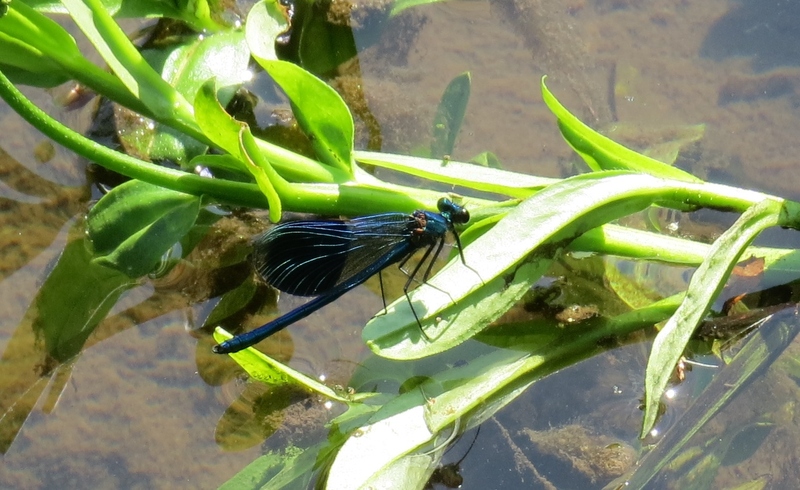 Look out for damselflies and dragonflies along the water’s edge, keep an eye open for water voles swimming across the river and listen for the many wetland birds calling and singing from the reedbeds and fens around you. There is much fascinating evidence of the antiquity of human occupation of the river valley in this area. 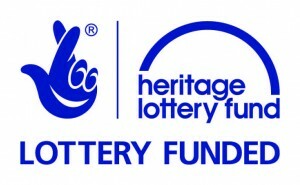 An extraordinary wetland archaeological discovery was made in 2005 right beside the river in Alverstone The finds include an extraordinary network of worked, carved, jointed and drilled wooden causeways held down by long oak dowels that are surmised to be from the Iron Age (700BC) to Saxon (1066). 1,840 wooden components were recovered including 345 shaped stakes and posts, planks wedges and dowels including the huge oak stakes used to hold together the ‘Roman road’. Among the hundreds of associated finds were sackloads of flint cobbles, pottery and glass, iron and copper alloy objects including clasps, buckles, bracelets, nails, fasteners, spear heads, crossbow bolts, coins and pen nibs. One coin neatly dates the associated finds to 300AD. Another is Saxon. The organic remains included animal bones, pollen, leaves, fungi, seeds and even spiders, all miraculously preserved in this giant peat time capsule. More details of this site can be found here. 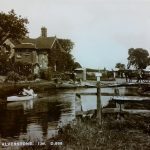 Alverstone used to be ‘the place to go’ for tea and boating. Fishing competitions were also held here. 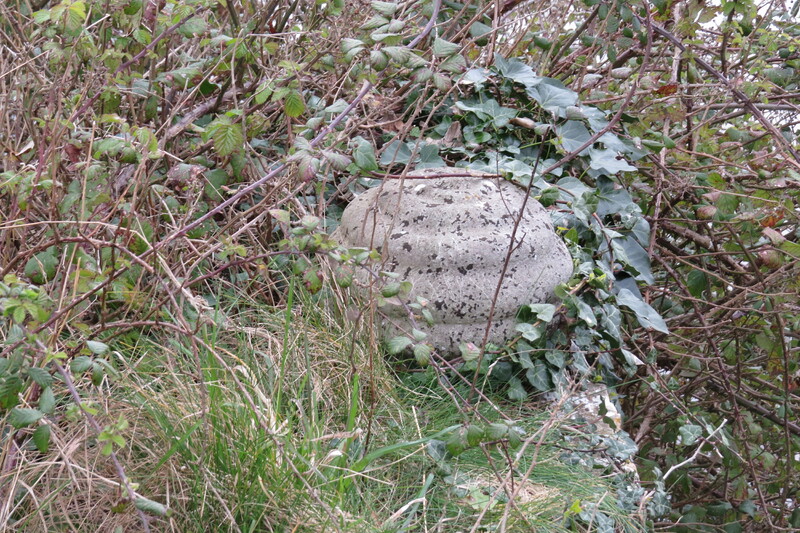 Look over the bridge and spot one of Paul Mason’s sculptures. The hide at Alverstone Mead Nature Reserve (a short walk from the bridge over the river in Alverstone) is one of the best places on the Island to see red squirrels in the woodland that slopes down into the marshes. A large amount of the land you are passing is now in stewardship to protect the water environment, and much is now owned and managed by conservation organisations including Hampshire and Isle of Wight Wildlife Trust at Sandown Meadows and Island 2000’s Sandown Community Orchard where you can stop for a picnic or pond dip. One of Paul Mason’s sculptures is located outside. Water voles have become extinct across parts of the mainland because of predation by mink, but here on the Island they are still doing well and this part of the trail is an excellent spot to search. You will need patience though. A little way down stream Brading Roman Villa was a major trading post and grain grown from the estate was exported to feed the legions in garrisons nearest the Island at Chichester and Porchester. Today it makes an excellent place to stop for cake! Adgestone Vineyard takes full advantage of the warm, south-facing slopes of Brading Down to ripen its grapes on the very spot where the Romans themselves tended vines two thousand years earlier. For centuries Brading was a port with sheltered waters deep enough for cargo vessels to carry goods to and from the Island. Many of Brading’s houses are perched so high because they were built above the old sea wall. Its hard to imagine as you cross the now reclaimed marshes that all of this was under the sea less than 150 years ago. This engraving, by Barth and King has been provided by Robin McInnes. By the 17th century the harbour began to silt up and Brading Haven was no longer suitable for larger barges. In 1630 the Haven was drained for the first time to create 700 acres of pasture, but the dyke soon burst. It was not until 1882 when the railway line was built that the Haven was properly and permanently drained. 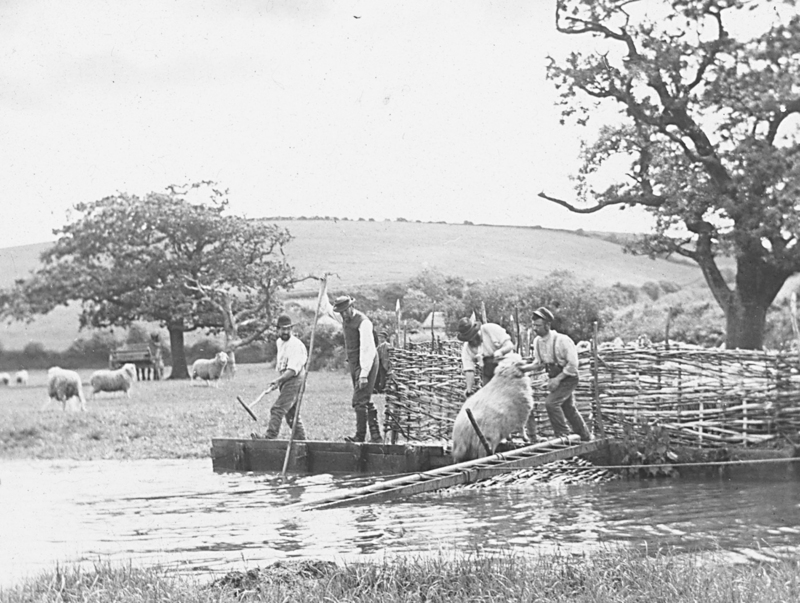 In the 20th century, the marshes were used for farming but were often flooded making the work difficult.. Sheep were used to graze the land. 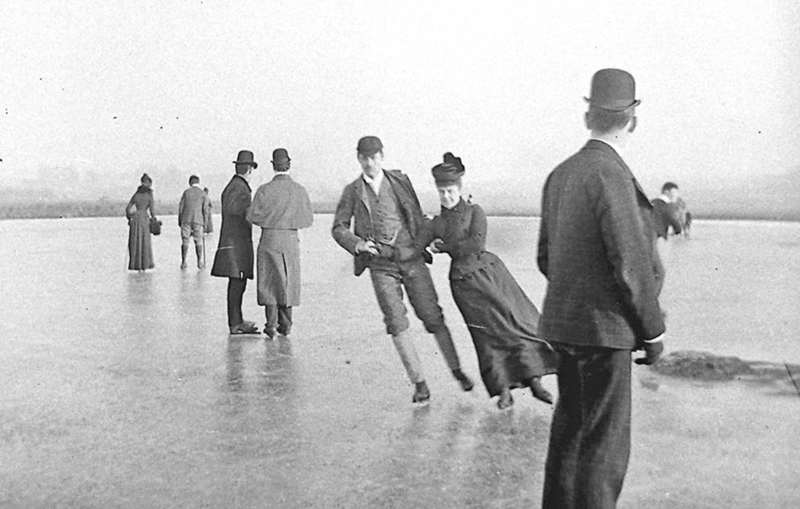 In cold snaps they offered wonderful opportunities for skating. 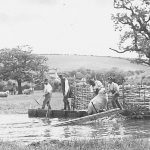 These photographs have been reproduced by the kind permission of The Isle of Wight Heritage Service. 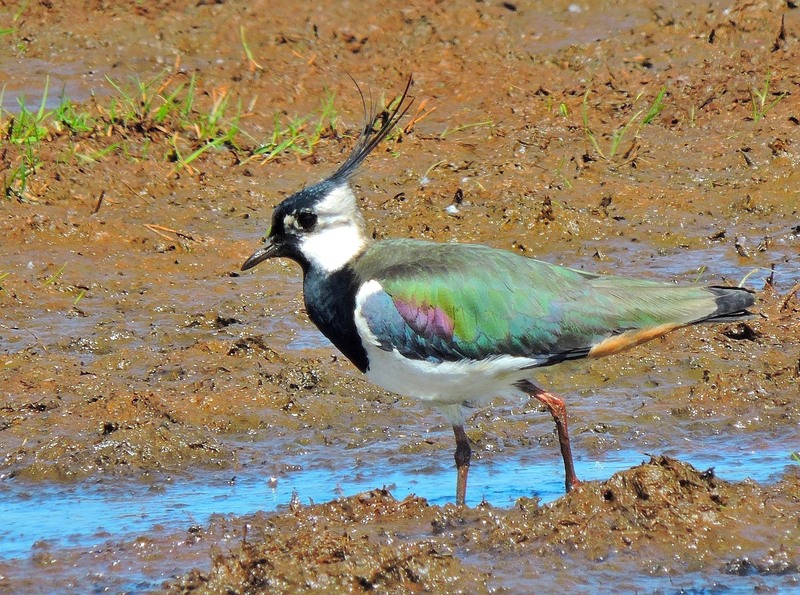 Brading Marshes is now an important nature reserve owned and managed by the Royal Society for the Protection of Birds. 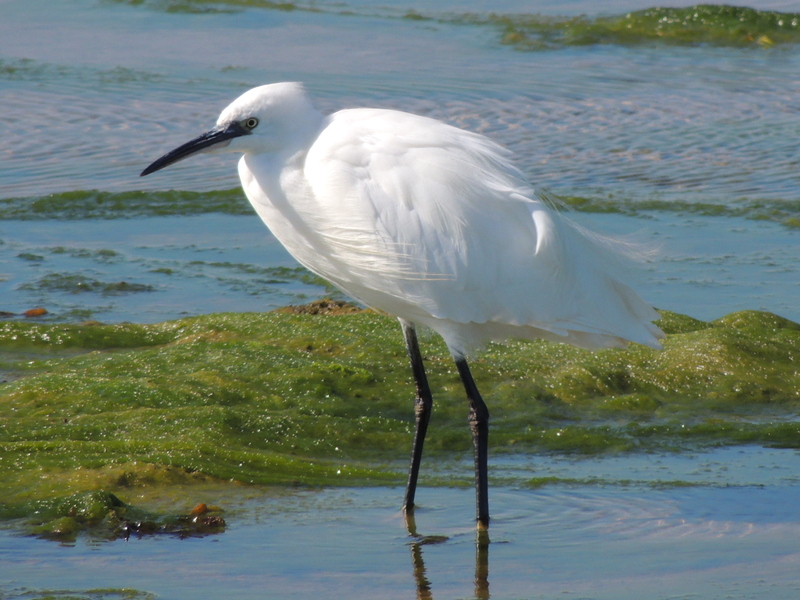 There are few better places for bird-watching on the Island. 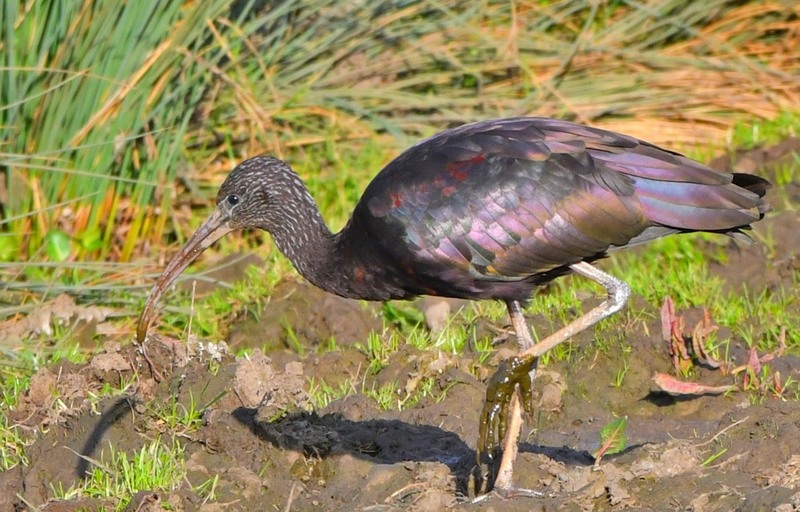 Glossy Ibis and the Cattle Egrets can be seen from the old sea wall and are becoming increasingly common. 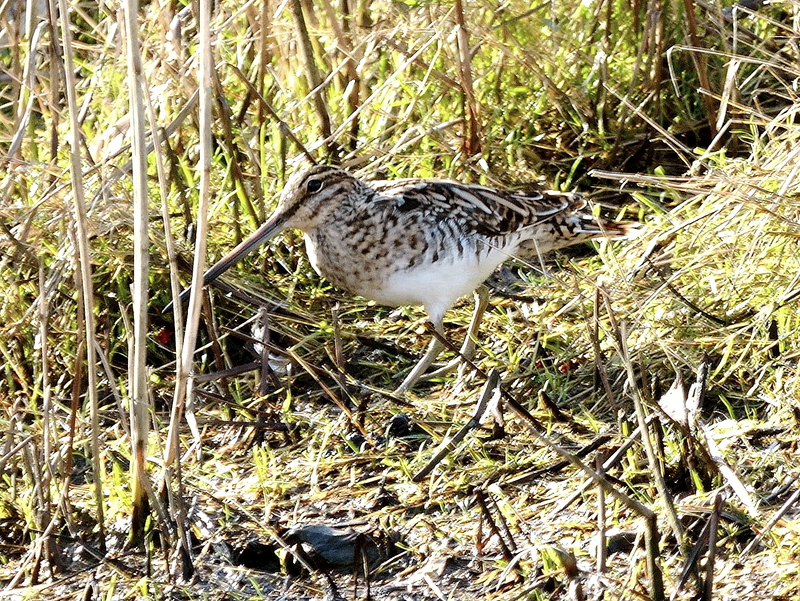 Redwing and Fieldfare are common in the autumn and winter.Reed Bunting, Snipe and Lapwing breed here. Thanks to Andy Butler for these amazing photos. 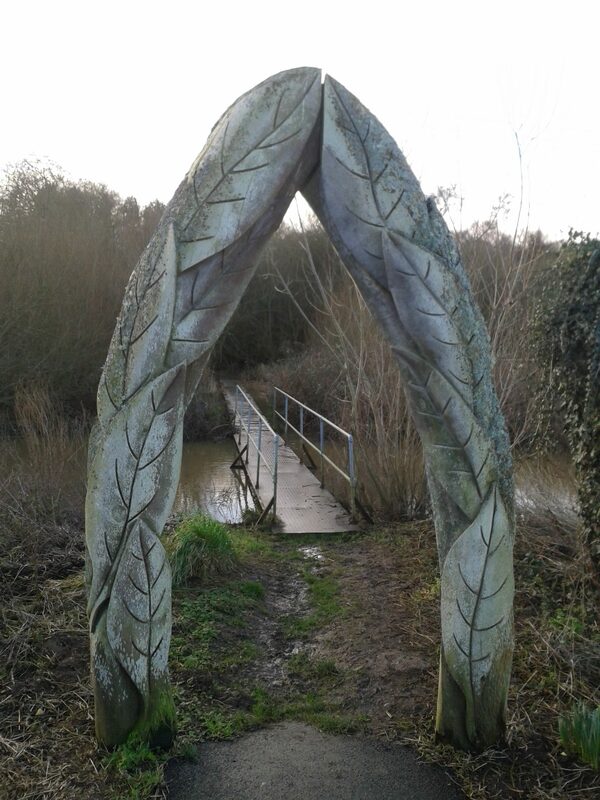 As you cross Middle Sluice, look out for one of Paul Mason’s sculptures, but don’t fall in the river! During the first drainage works a stone-encase well was discovered. Tales were rife of how this was the sacred well of the druids from which the waters of the Haven originally sprang. It was believed that a sacred oak once grew near the well and that each year a man would be bound within a wicker cage and suspended over a flaming pyre as a sacrifice to the water gods. Another tale tells of three Baptist strangers who arrived in the village to preach Christianity and speak out against the annual sacrifice. The druids feared the loss of their influence and power and the three were seized and trussed and themselves suspended in the burning cage. As the fire rose a storm broke out and a flash of lightning blinded the arch-druid. There was a mighty roar and the waters roared fifty feet into the air from the well swamping everything around. Only the three strangers survived as the cage intended to carry them to their deaths saved their lives. 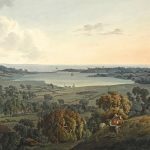 According to storyteller Edward Turner “The oaks no longer swing their branches to the breeze but the waves roll over the spot and the message brought by the strangers remains not forgotten”.